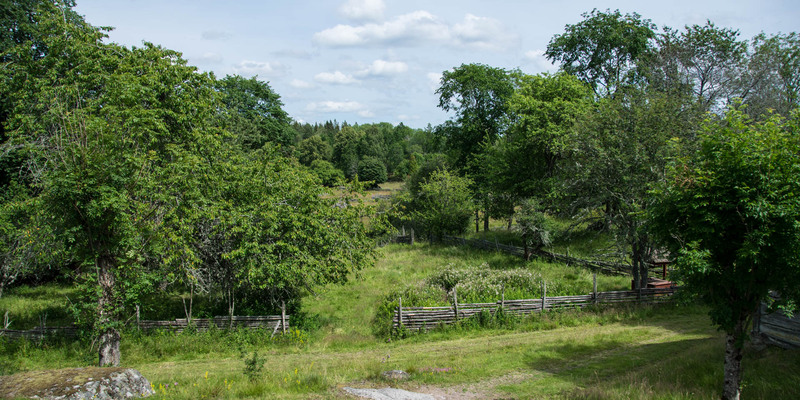 The site of the former farm Stubbhult near Målilla, about 20 kilometers south of Hultsfred, is one of the rare examples for a perfectly preserved small-scale cultural landscape of the 19th century. The cultural landscape on Stubbhult is still as it was after the last major reconstruction of the farm in 1804. 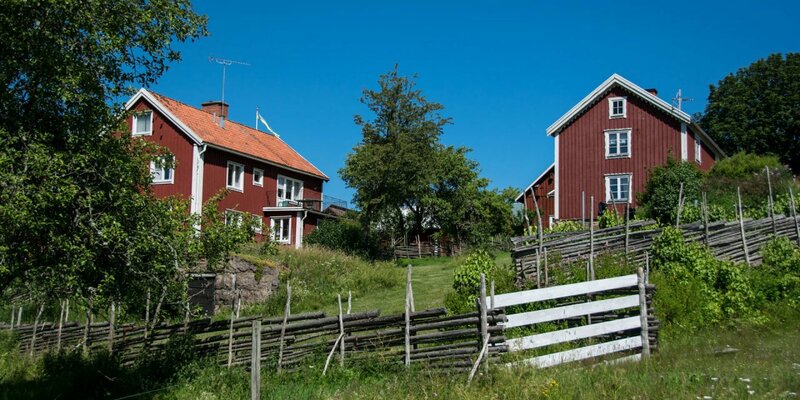 It is a typical example of the now vanished small-scale cultural landscapes of the 19th century in Småland – before agriculture was modernized by the use of machines. The area around the former farm is seven hectares large and forms a veritable patchwork of many different areas for fields and natural pastures, which are separated by classic wooden fences and walls of stacked field stones. The layout and the positions of the areas, paths, walls and fences have not changed for over 200 years. Just like the piles of stones scattered all over the area, which were created centuries ago by collecting the stones on the old acreage. In order to keep the natural meadows open, cows of the old landrace Rödkulla regularly graze there, and even the trees, especially the ash trees and lindens, are pruned regularly as in the past and emphasize the historical character of the site. 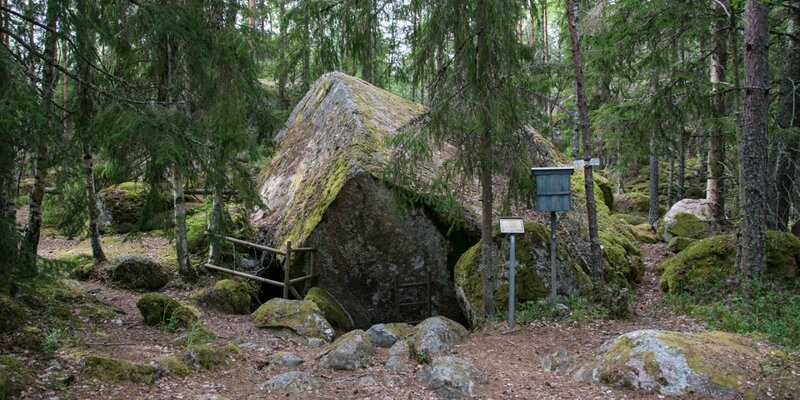 Due to the careful handling of nature over a very long time, you can find on Stubbhult many endangered plants and insects and special species that are characteristic of this form of cultivation. There is a nearly two-kilometer round trail through the area, connected by a path of about one kilometer that leads to a natural forest of more than 80 hectares. Most of the trees of the coniferous forest, which is 97 percent spruce and pine, are around 100 years old. There are only a few older trees there, since until the end of the 19th century the forest was used intensively for the production of charcoal, also for the blast furnace in Hagelsrum. 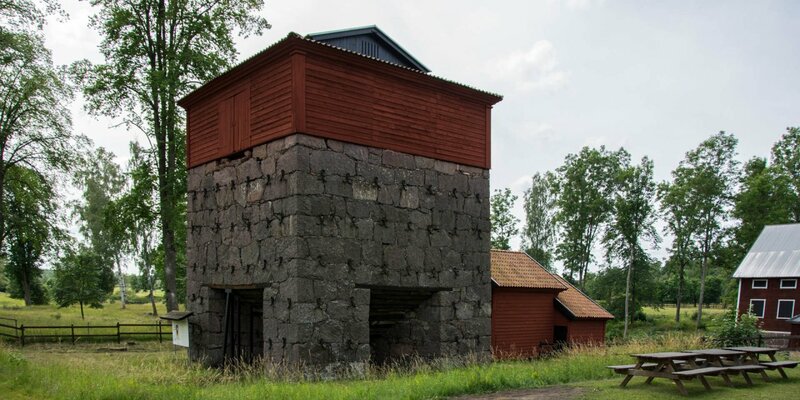 From this time, you can find some remains of charcoal burner's huts and charcoal mills in the forest and near a former of one of this mills you can see the faithful replica of an old charcoal burner's hut.